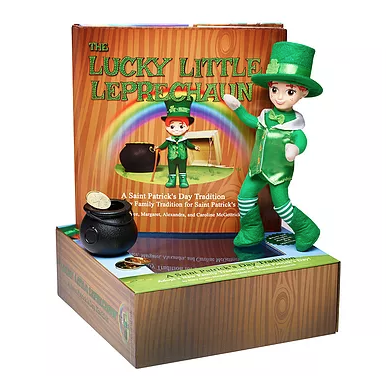 If your family loves the Christmas tradition of Elf on the Shelf, you may want to consider getting The Lucky Little Leprechaun! After reading the story “The Lucky Little Leprechaun: : A Saint Patrick’s Day Tradition,” by mother and daughter co-authors Mary Grace, Alexandra, Caroline and Margaret McGettrick, kids can follow the instructions found on an ancient scroll hidden within a stone wall of a medieval Irish castle and build their very own leprechaun trap. The activity is designed to be a fun, educational STEM activity to catch a leprechaun.